Princeton, Illinois is a town of around 8,000 people located in Bureau County. It is known for it’s beautiful antique homes and historic downtown. Every year, they have a Homestead Festival in September where they host parades, plays, a beer garden, kids activities, craft shows, food stands, and more. Main Street in Princeton is full of various new shops and restaurants, as well as home to many historic venues such as it’s movie theatre, courthouse, library, and bank. Versatility: Pole Buildings are very versatile and can be made into almost anything. 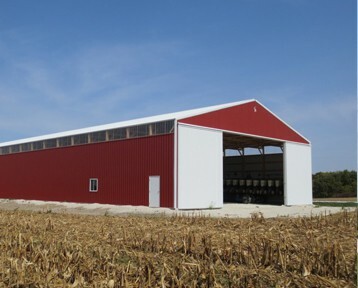 At Greiner Buildings, we use post frame construction to build anything from commercial buildings to custom horse stables. We can do it all! Not only are we experts in building, but we also have incredible designers as well as a handy repair team. Let Greiner Buildings meet all of your post frame construction needs in Princeton, IL. We look forward to working with you! Call us today.